Is Chain Link the Right Fencing Option for Me? Chain link fences are light weight yet they are quite strong as well. This means that they can be installed quite quickly. The woven metal wires are likely to match your yard’s motif easier than picking a color as well. Remember that when you have colored fencing, you have considerations as to the colors of your house and also yard. With chain link, none of these are considerations. Your home and yard decorations can be of any color or design. If you do have your heart set on having a fence of particular hue, wood is your best option. Wood fences are much easier to paint and adjust the color of. Also, you can alter wood picket shades through the use of various types of staining paints. None of this is possible with chain link or vinyl. If color is important, you probably are going to want a wooden fence. Vinyl fencing seems to be a combination of cons with no real pros other than it’s cost effective nature. A good strong wind will take a vinyl panel out for sure. The material is also very weak and will degrade much quicker than others. It is for these reasons that such a negative connotation is associated with these vinyl fencing panels. Many contractors will stick with chain link, wood or various types of steel and metal fence designs which we won’t be discussing for our purposes here. Many homeowners forget the simple fact that a chain link fence can later be upgraded. What do we mean by this? Well, wooden panels can be overlaid, or tied, onto the exiting chain link fence. Think about it; the support poles are already in place. All that you are really altering is the appearance of the fence by adding panels. You also happen to change the function making it more private as well. At the end of the day, 99% of consumers will be choosing between chain link and wooden fence designs. If color and privacy is important, go with wood. 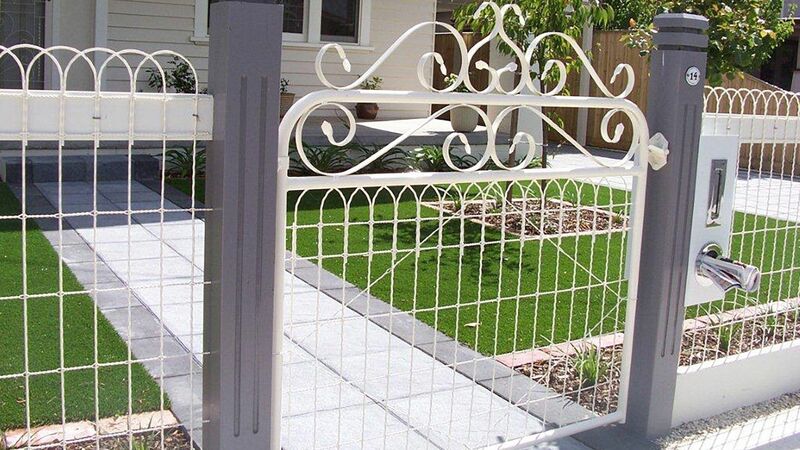 If you want a strong, light weight fence that will match your home for sure then go with one of the chain link options.